Everyone needs a dentist but it’s not always easy to find the perfect fit in NYC. The relationship between patient and dentist is essential to maintaining healthy gums throughout your lifetime. People change dentists when they move, their dentist retires or their health insurance only covers specific dentists in the area. If you are looking for your next dentist in NYC, here are 5 mistakes to avoid. Depending on your dental needs, your medical bill can become quite expensive. Paying high dental bills are difficult when you don’t have insurance or a financial budget to cover expenses. This situation often leads people to choose a dentist based on the cheapest prices. Dentists that offer lower prices compared to their competitors are usually cutting back expenses in other important areas such as quality of dental equipment and training. You can avoid choosing dentists based on low pricing by inquiring with other dental offices that offer financing plans. Patients that choose their dentist based on location often cheat themselves out of better service. The convenience of the location of the office doesn’t mean the dentist is the right fit for you. If you don’t have a method of transportation to visit dentist offices in other areas, research the dental offices located in your area to make sure they are licensed, experienced in their field, offer the services you need and have positive reviews from previous patients. A quick online search can reveal important information in addition to contacting the office directly and asking important questions. Honest open communication between dentist and patient is highly important. Dentists that are always in a rush to get to the next patient and don’t take the time to explain the diagnosis and treatment clearly can make the situation uncomfortable for the patient. 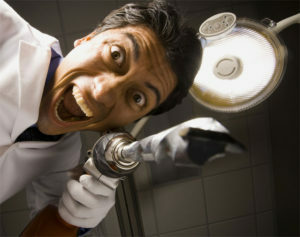 Also, dental offices that feel chaotic and confusing can make a patient nervous and fearful. Some patients believe the more expensive the treatment the better the dentist. In this situation, you want to be careful because some dental offices are only focused on earning money instead of treating the patient and building a long-term relationship. Dentists that only offer expensive treatments aren’t always the most experienced or skilled in their industry. You can avoid choosing a high priced dentist by comparing prices to other dental offices and researching the background, education and licensing of the dentist. You can easily confirm if a dentist is licensed in New York. However, it’s a bit more difficult to confirm the staff’s credentials. All of the hygienists and assistants working in the office need to be licensed. You can ask for further details regarding the staff’s credentials by contacting the dental office directly. Avoid choosing a dentist in NYC on a whim or based on price and location. You might be in pain and need a dentist fast but its best to take the time to research the dentist and their qualifications. It’s better to receive dental care from a licensed and skilled professional than to save a few dollars for low-quality service. You can feel safe and welcome at Dr. Jacquie Smiles dental office. Our experienced, licensed and professional staff are standing by ready to help you with all of your cosmetic and general dentistry needs in NYC. 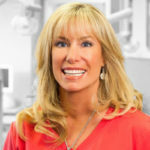 Dr. Jacquie Smiles is a top rated dentist in NYC. She is dedicated to providing her patients with the best quality dental care available. Dr. Jacquie Smiles started her career in orthodontics/dentistry at Boston University and after graduation became the first female and youngest Director of B.U.’s Predoctoral Orthodontic Department. Dr. Jacquie teaches and certifies students and orthodontic residents in many of our dental schools and universities in the U.S. and Canada. She has also taught over 14,000 doctors, students and their teams in multiple areas of orthodontics throughout the world including North and South America, Europe, Asia, The Caribbean and the Middle East. Schedule your dental consultation with Dr. Jacquie Smiles in NYC at her office conveniently located in Midtown Manhattan near near 30 East 40th Street Park Avenue, New York, NY 10016. Begin your journey to a healthy beautiful smile today by calling for a consultation right now at 212-972-3522 or filling out the contact form to receive additional information.